for $399,900 with 3 bedrooms and 1 full bath, 1 three quarter bath, 1 half bath. This 2,586 square foot home was built in 2019 on a lot size of 93X155X70X160. Completed New Construction Two Story Home Move In Ready. 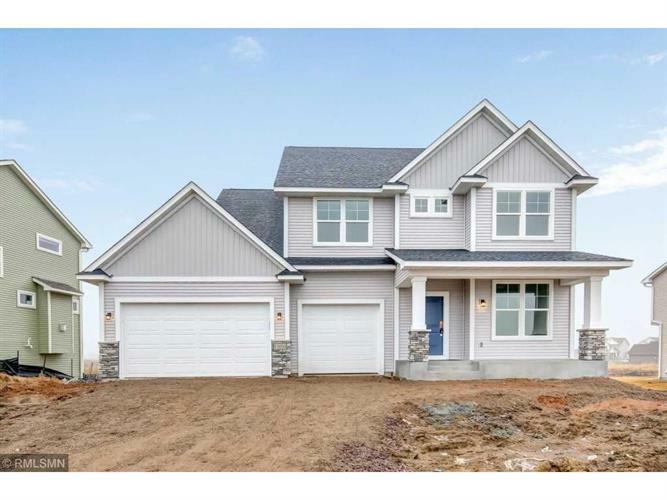 Creative Homes presents the Ashworth floor plan featuring concrete porch, den, kitchen island, spacious great room, upper level loft, unfinished look out lower level for future expansion, nestled in established Headwaters Community. No Association and larger homesites. Quick commuting nearby to Hwy 61 & 35E. Close to Trails, YMCA, Hardwood Creek Trail, Library, Metro Transit, schools, & Hockey Arena.